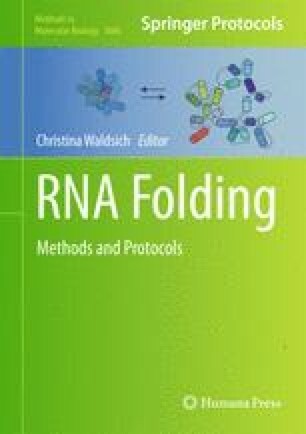 Chemical mapping is a widespread technique for structural analysis of nucleic acids in which a molecule’s reactivity to different probes is quantified at single nucleotide resolution and used to constrain structural modeling. This experimental framework has been extensively revisited in the past decade with new strategies for high-throughput readouts, chemical modification, and rapid data analysis. Recently, we have coupled the technique to high-throughput mutagenesis. Point mutations of a base paired nucleotide can lead to exposure of not only that nucleotide but also its interaction partner. Systematically carrying out the mutation and mapping for the entire system gives an experimental approximation of the molecule’s “contact map.” Here, we give our in-house protocol for this “mutate-and-map” (M2) strategy, based on 96-well capillary electrophoresis, and we provide practical tips on interpreting the data to infer nucleic acid structure. Pablo Cordero and Wipapat Kladwang contributed equally to this work. We thank B. Alford, F. Ortega, A. Becka, T. Mann, and S. Tian for comments on the manuscript. This work is supported by the Burroughs-Wellcome Foundation (CASI to R.D. ), a CONACyT fellowship (to P.C. ), and the National Institutes of Health (T32 HG000044 to C.C.V. and R01 GM102519 to R.D. ).